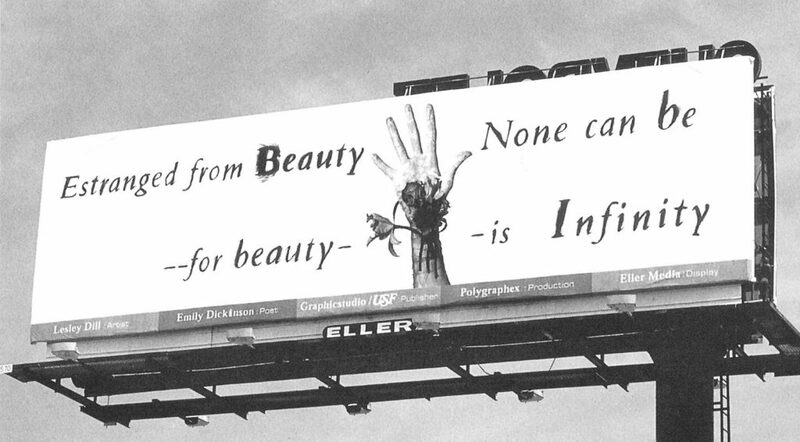 American artist Lesley Dill has utilized the extraordinary words of Emily Dickinson in her sculpture, prints and works on paper since the late 1980s. Dill is interested in the idea of words being both physical and spiritual at once in her work, of language "connecting earthly beings to the sky of the infinite". In recent years her practice has shifted to include performance art and most recently large public billboards. 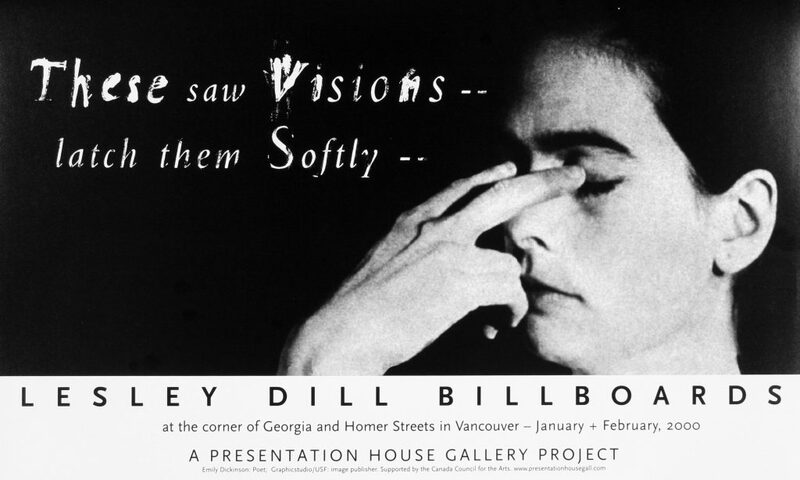 Presentation House Gallery will mount two of these poster projects, one in January, one in February, at the billboard sites of Georgia and Homer Street, in Downtown Vancouver. The billboards will be produced in collaboration with Graphicstudio/University of South Florida (USF), a print workshop affiliated with USF. Poster for the exhibition "These Saw Visions"